Too many approaches in traditional petroleum engineering are based on "ad hoc" and "common sense" methods that have no rigorous mathematical basis. Most textbooks dealing with reservoir engineering do not go into the necessary mathematical detail and depth. 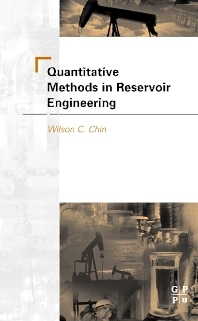 This new book by Wilson Chin, a revision of two earlier books published by Gulf Publishing, Modern Reservoir Flow and Well Transient Analysis and Formation Invasion, integrates rigorous mathematical methods for simulating and predicting reservoir flow both near and away from the well.